I found the Eagle Creek Specter Pack-it Sac on Steepandcheap.com a few weeks ago at a bargain basement price. I already had the Pack-it Specter Quik Trip, which you may have read about on Brian’s Backpacking Blog a while back. (That’s where I saw it, too.). 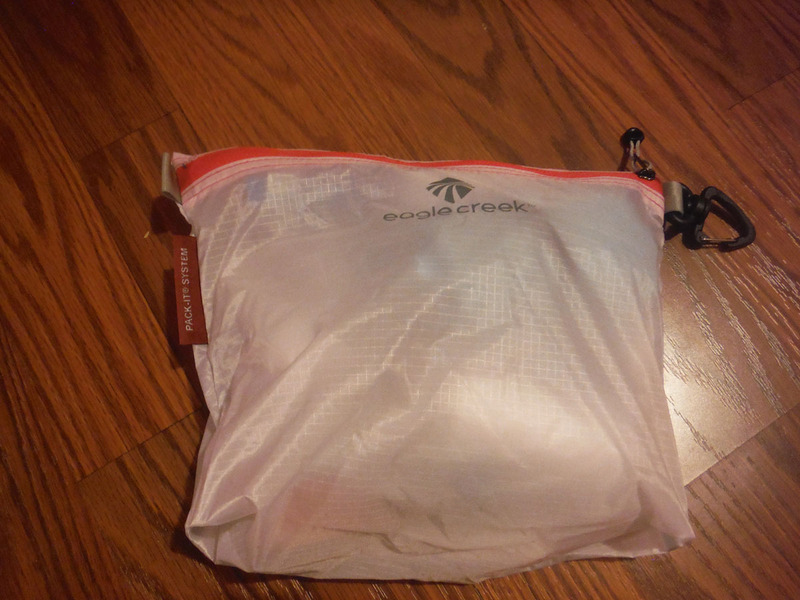 I really liked it and have used it both for backpacking trips as well as business trips, so when I found the Pack-it Sac (hereafter referred to as the ‘Sac’), I grabbed it up. The Sac has a zipper with a small pull cord to help you open it up easier in case you’ve got gloves on. 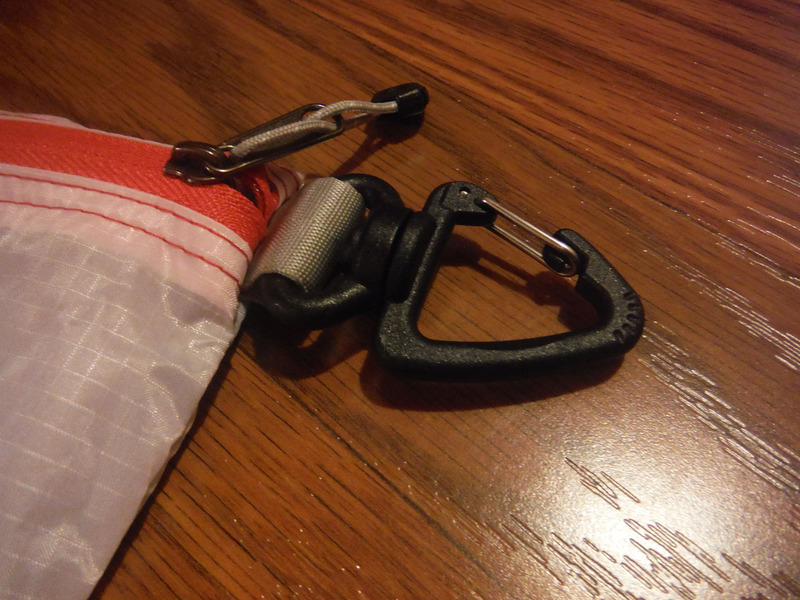 Also, there’s a plastic spring carabiner on a swivel that’s handy. However, you could cut this off and save a fraction of an ounce or replace it with something lighter and smaller, I suppose. Since the whole thing weighs barely over a half ounce, I haven’t bothered to replace the carabiner, which I like having on there. 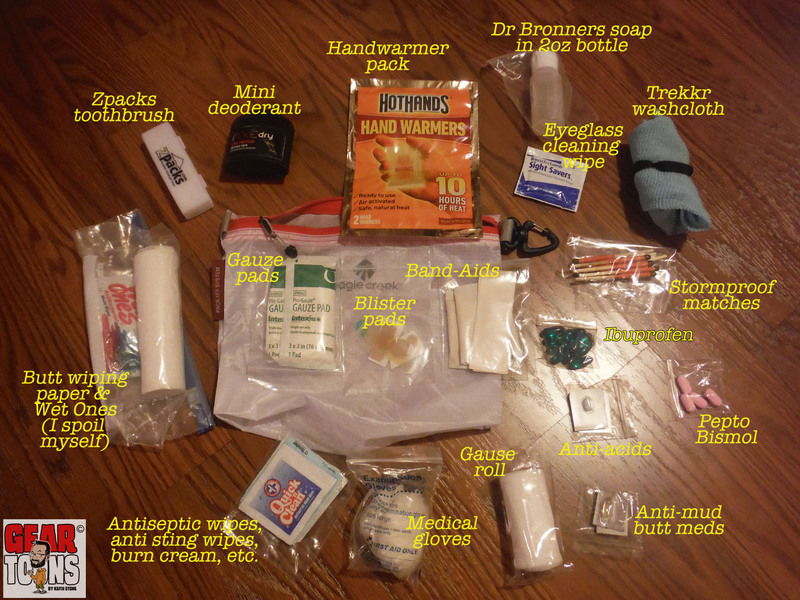 I used the Sac to pack my first aid kit, toiletries, wallet and a few other things in. I’ve also used my Pack-it Quick Trip for this purpose and had room to spare. ( If you like having zippered compartments, the Specter may be better suited for you. ) I liked being able to clip the Sac onto my backpack, so unless I can’t stuff all my things into it and need more room, I’ll continue to use this and leave the ziploc bags for freezer bag cooking.